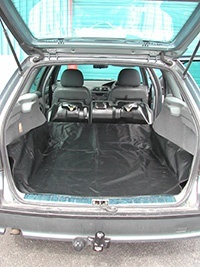 Low cost universal fast fit boot liner for cars and vans. 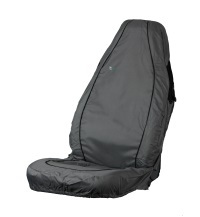 Attaches to the headrests of the rear seats. Velco strips in the corners of the liner enable it to be folded to the boot space.